As a company we take great pride in our reputation. Reputation has always been fundamental to a company’s success and this is outlined by iconic American industrialist Henry Ford who famously said “You can’t build a reputation on what you are going to do” and Latin writer Publilius Syrus that said “A good reputation is more valuable than money”. We agree, building a good reputation is built on what you do and it is definitely more valuable than money itself. We consider the reputation of our business a key aspect in our success. 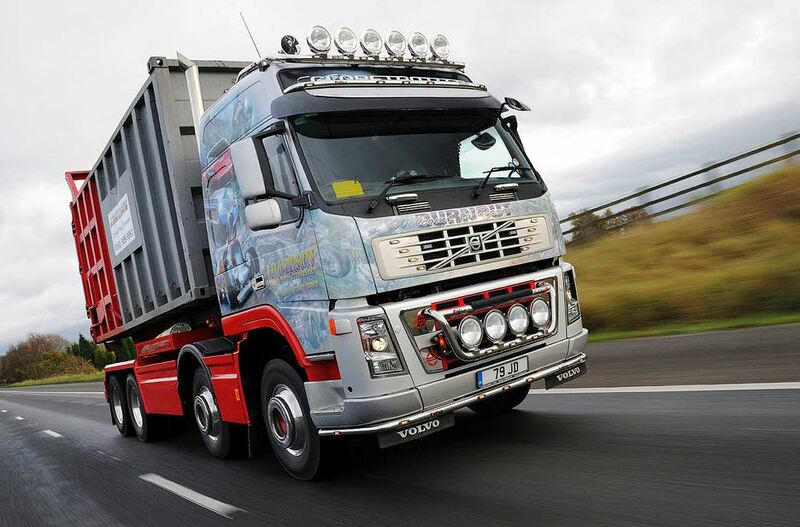 An integral part of maintaining a good reputation is taking pride in the image of our company, and this is outlined in the appearance of our fleet of trucks. 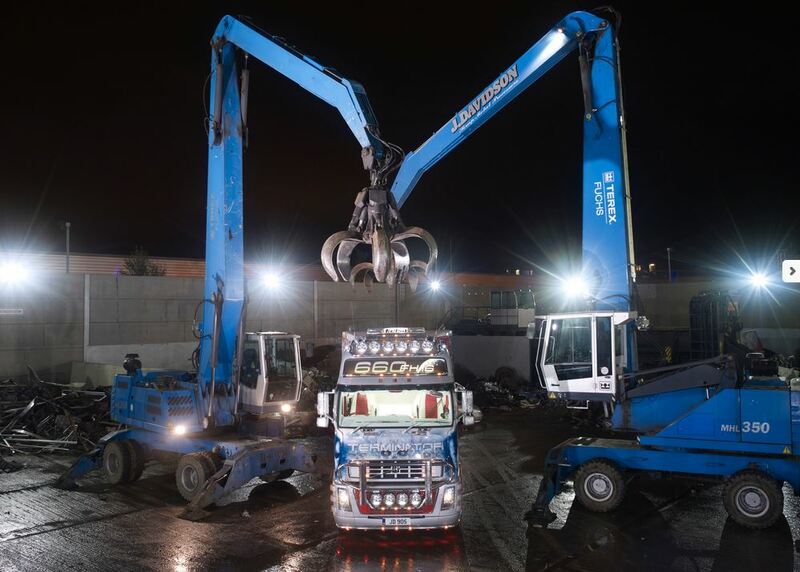 Our trucks represent our company when out on the road collecting scrap metal and scrap cars across Manchester. As a result we use our vehicles as a platform for our company’s image and have customised our fleet of trucks to have a high impact on the road. When a passer-by sees one of our air-brushed trucks they immediately know it’s a J Davidson truck. We operate a modern fleet of 20 trucks from 7.5 tonne to 44 tonne, ranging from Mercedes Sprinters to our flagship Volvo FH16 and Scania R730. 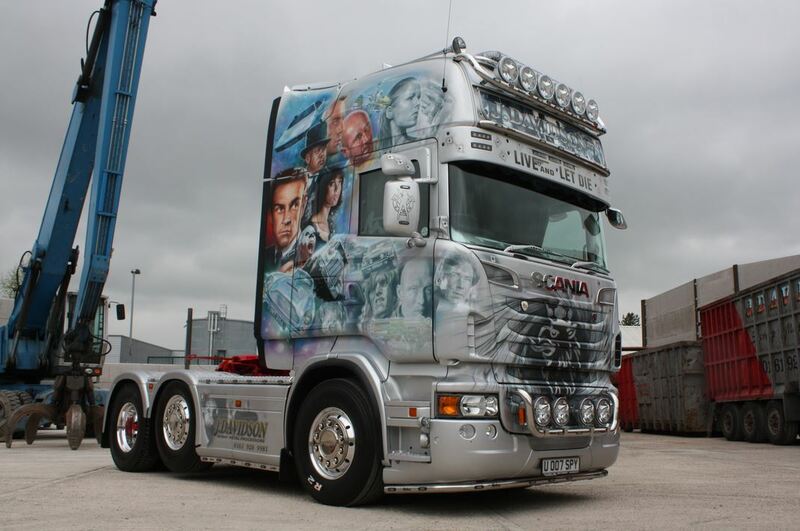 All trucks and vans have been air-brushed to a high spec and span a number of themes. 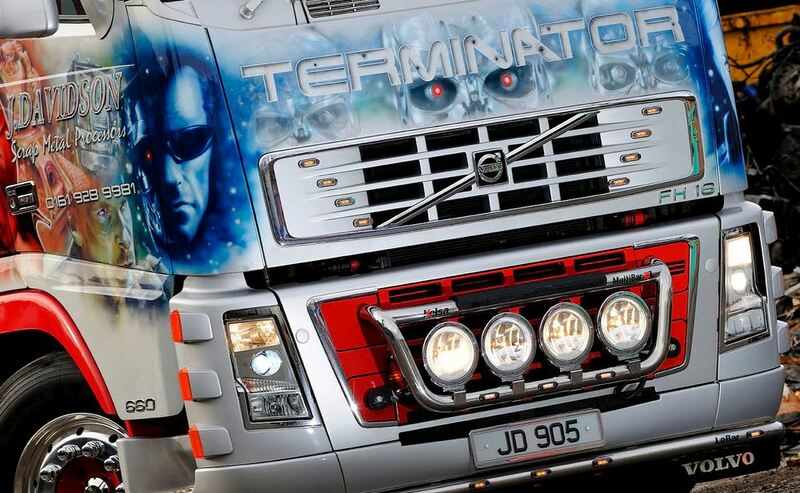 The Volvo FH16 has been air-brushed in the theme of ‘The Terminator’, whilst our Volvo FMs are decorated as Iron Man and PlayStations Burnout game. Most recently we have customised our Scania R730 to the theme of James Bond, which was approved in letter by latest 007 actor Daniel Craig no less. Our fleet of trucks regularly visit Truck Festivals across Europe and in the last month or so we exhibited our James Bond and Terminator trucks at TruckStar festival in Holland. 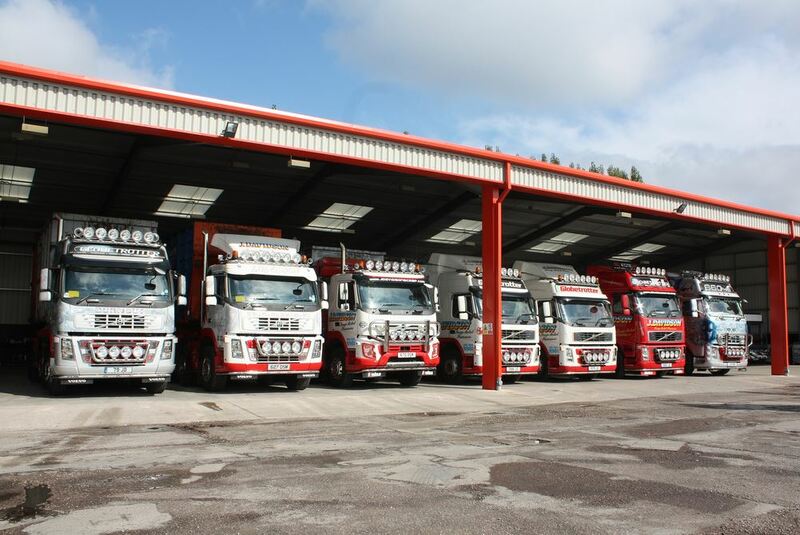 To find out more about our trucks visit the J Davidson ‘Our Fleet’ page or check out our ‘Gallery’ for a selection of images. This article was posted in Scrap Metal, Scrap your Car in Manchester, Scrapping your Car. Bookmark the permalink. Follow comments with the RSS feed for this post.Both comments and trackbacks are closed.